Gramercy Park Studios (GPS) has created a series of VFX-driven promos for Big Brother and Channel 5. 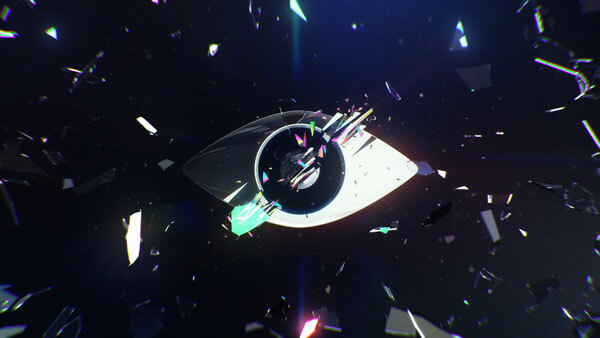 The promos feature show presenter Rylan Clark-Neal smashing a sledgehammer against an enormous mirror, shattering it into the form of the new Big Brother logo. The shards of glass then fly out past the Clark-Neal and fellow presenter Emma Willis towards the screen. 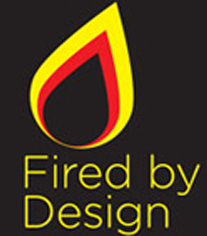 Prior to the shoot GPS head of 2D Mark Beardall created a pre-viz in Flame to match Channel 5’s creative brief. GPS editor Vee Pinot was on-set to edit and test the footage, ensuring it would work in post. However, on-set production was complicated by the fact that Willis and Clark-Neal weren’t available at the same time. To address the issue of designing shards created by the hammer blow, GPS’s 2D and 3D departments worked in close partnership, turning to a combination of Flame and CG assets. 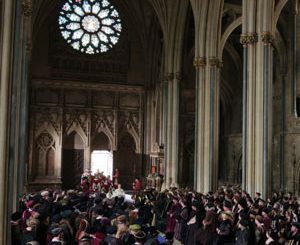 “Once we had the glass and mirror shards moving how we wanted them, we added in some hand animated ‘hero’ shards, some finer glass particles, and started the lighting and rendering process,” said Lowery. Lowery and the GPS 3D team then created the transition glass shards that fly directly towards the viewers’ eyes, further intensifying the 3D feel of the entire spot while also presenting Channel 5’s new branding.